With Weapons, the fifth full-length of Lostprophets’ 15-year career, the Welsh sextet show glimpses of the anthemic greatness displayed on 2006’s Liberation Transmission and absent from much of 2010’s The Betrayed. This time out, they make an effort to push electronic elements to the foreground of their straight-ahead rock; in the process, they don't blow anyone’s perceptions out of the water. But big choruses, bigger production and the sun-drenched feel of many of the tracks will make for good listening as summer draws near. 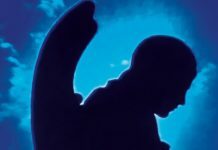 With the exception of the cheesy posturing of “We Bring An Arsenal” and the flat strains of “Somedays,” every track has something going for it, even if it’s only an occasional riff or lyrical hook. 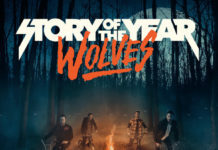 The driving, fist-in-the air stomp of opener “Bring ’Em Down” hits the spot, and they may well have arm-wrestled the All-American Rejects to claim the effervescent chorus of “A Song For Where I’m From” as their own. 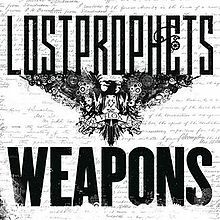 However, Lostprophets are at their best when striding into straight-up hooky pop territory with their heads held high. The shimmering strains of “Jesus Walks” and the ’80s-flavored “Heart On Loan” soar above everything else; both songs come across as heartwarming, with a hint of melancholy. While their longtime fans may not take to everything, the band stand a good chance of drawing in a new generation of listeners—those in love with the current waves of electro-pop and the catchier end of emo. 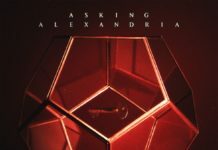 (Certainly, signing with Fearless Records in the U.S.—which will release this album domestically in June—as well as a stint on this summer’s Warped Tour will help spread the word.) For now, this stands as another good if inessential addition to their catalog—a phrase that, for better or worse, applies to the majority of their output.